Cherry Dr Pepper is a cherry flavored version of the popular soda made by the Dr Pepper/Snapple group. It also comes is a diet version. 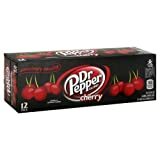 How Does Dr Pepper Cherry Compare? 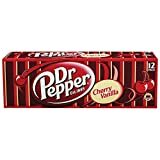 Dr Pepper Cherry contains 3.25 mgs of caffeine per fluid ounce (10.99mg/100 ml).